Almost every marketing prediction, resource or how-to guide for 2019 includes the same advice: video needs to be part of your strategy. But how should you get started? And what type of video marketing is most important, right now? From super-short (micro) video clips, to live streaming on social media, to full-production ads and stories, we’re going to look at some of the top video marketing trends for the year and how you can incorporate them into your design and marketing plans. Let’s dive in, and embrace video as the new marketing channel you need to get right! Captioning and on-screen instructions or information are vital to ensure that video content fully reaches the audience. Social media has changed the game when it comes to video marketing. A significant number of users are watching without sound. There are plenty of reasons for this from not wanting co-workers to hear what’s on the screen next to them to watching video in public places on phones to general annoyance at audio. But you need to create video for those who don’t want to listen. Captioning and on-screen instructions or information are vital to ensure that video content fully reaches the audience. This can impact the way you record video for marketing and how you edit for playback. The good news is that optimizing for soundless playback can actually help make video content accessible to more people. We’ve got a guide to accessibility for you here, and it includes some tools for captioning video. Depending on the kind of content you produce, 360-degree video might be your new marketing best friend. For travel sites, real estate, retail and events there’s endless potential to being able to create video that shows an entire product or scene. The big bonus to this video style is that is demands engagement. For most 360-degree video to really be seen, users have to click and move around with it. It creates a distinct user experience that can help connect people interacting with the video and the company or brand. It’s also easier to create than you might think. No fancy equipment is needed. Create a 360-degree video with a smartphone, GoPro and stitch it all together with an app. Vlogging on YouTube (other other video sources) is the new blogging. Video diaries, reviews and tutorials are a great way to help people find your product or service. Plus, it is a growing marketing segment. Vlogging is getting more mainstream all the time with tools such as Instagram TV and the do-it-yourself nature of these videos. You don’t have to have high-end equipment to tell a video story online, just a phone, in expensive microphone, editing software (or an app) and YouTube. Some of you are going to cringe: vertical video is here to stay (for a while anyway). You can thank Instagram Stories and TV for that. But Facebook and YouTube also support vertical video. And think about how you actually hold your phone – it’s vertically. Square videos are also gaining some popularity, although not to the same degree. It’s all about where you plan to post and share. Horizontal video is still best for websites being viewed on wide-screen monitors and video ad formats (although some of those are more square). Vertical video is the thing for social media. And while we are talking social, live video (yes… in a vertical format) is highly popular on social media. From Facebook Live to Instagram TV and Stories, in-the-moment video creates an authentic connection with users that they like. According to Livestream, 80% of audiences said they would rather watch live video from a brand than read a blog post and 82% preferred live video to social media posts. So, if you aren’t going live, it might be time to think about it. Just remember to keep the video succinct and to the point and make sure the video and audio quality are good. The No. 1 reason viewers turn away from live video is poor quality. What if your video ad finishes playing before the “skip” option pops up? It kind of ensures that all the content will be seen. Super short (or micro) video ads are catching on. The challenge is creating something cool enough to click in 6 to 10 seconds. But short-form video ads can tease users just enough to make them want more. Use fast-paced or highly engaging visuals to grab users and lure them to your website with this video marketing trend. If you are creating video, make sure Google can find it. The search engine giant is crawling video and results will show in search and video search results. The better information you provide, the better it will look when people find video content from search. 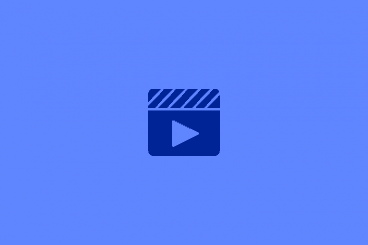 Google has plenty of information on how to structure video content to make the most of search. While this trend has less to do with video content, it has a great impact on your overall marketing efforts. If you are spending the time to create video, take a few extra minutes to make sure it will get seen by as many people as possible. Create a video showcasing a product or service and then allow users to swipe-to-buy. Videos have slowly been creeping into e-commerce. And not just for online reviewers. Shoppable videos are short video clips that allow users to click (tap) and buy instantly. They don’t have to leave the video to make the conversion. You essentially mimic the experience of a website (think about your hero header or key b-roll elements) so shoppers can make a purchase without leaving social media or the website they are on. You are probably seeing these videos all the time — they commonly pop up in between Instagram Stories from people you follow. Shoppable content is growing. The format is simple: Create a video showcasing a product or service and then allow users to swipe-to-buy using Instagram or Snapchat ads. Video marketing trends used to always focus on production and cinematography. Not anymore. Today’s video marketing is all about creating authentic content that people trust. They should think it is real – overly polished video might not seem as approachable or realistic. The good news is that this is easier for you. Much of the video content on social media is actually produced on tablets and phones. Plus, you won’t feel bad about using a low-budget option only a handful of times before moving on to something else. The days where you can create one clip and use it everywhere are gone. The type, size and format of video can impact how engaging it is to different sets of users. The days where you can create one clip and use it everywhere are gone. Think about it: Sound vs. no sound, horizontal vs. vertical orientation, shoppable link or not, and the list goes on. You need a clip for each specific platform to get the best results possible. Editing software will be your best friend here because you can take the same basic piece of video and crop, edit and export by channel. It’s worth the time to get the highest engagement rates possible. Even if you aren’t a videographer, figuring out how video will incorporate into marketing and design plans is important. It will likely continue to grow as part of your online strategy. Use video in website designs, in social media and as stand-alone advertising to engage with users in a way that they find highly engaging. Previous articleHow to conduct a UX Workshop before a website redesign.